We all have favourites in everything we do, so here let's share what our favourite heels are obviously pictures would be better than descriptions but either is great. My personal favourite pair came from Evans online, and have a small platform sole and are patent black Mary-Jane style with a stiletto heel. Very comfortable with a cushioned sole and not too high to wear for a while. 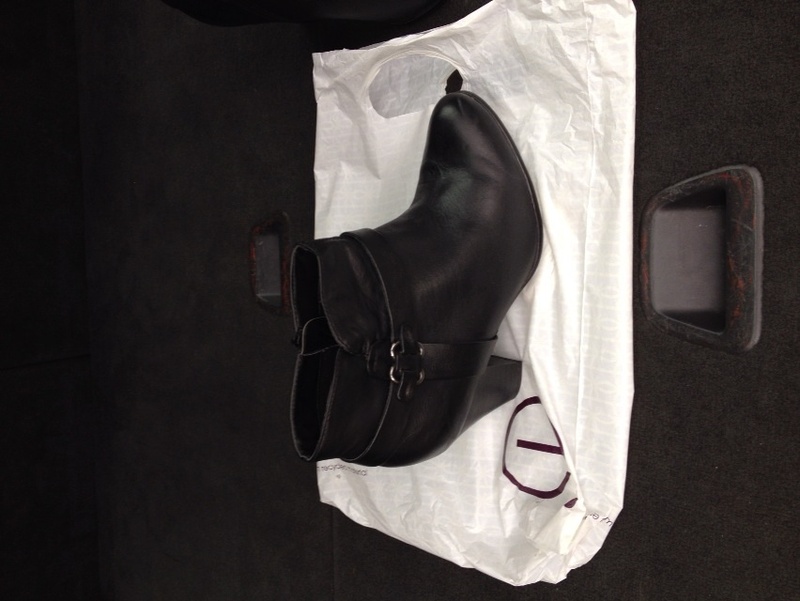 In terms of what I like to wear for public heeling, then my Evans black blockheel boots are my absolute favoutite...... They have hardly been off my feet since I got them! They are very quiet and discreet and also being from Evans are EEE width. Sorry it's not a straightforward answer but hope this helps. I have about 5 styles I would be loathe to be without. I guess the acid test would be .... Boat is sinking, or wake to find the house on fire, what pair should I save with only hands for the one pair? A style called Saint from KG. I have a brand new pair bought from HoF Bluewater for about £30 at least 4 years ago. Bought an identical 'worn once' pair from an auction site 3 years ago. The used ones, despite being stored in the open, still have foot odour -not mine- coming from inside. So like the new ones, remain unworn by me. They are wonderful to put on. Have an almond shaped toe, with a very slight upward tilt in the toebox, making the ball of the foot seem to sit inside a cup? With elasticated gussets, they are a slip on slip off shoe boot with a moderately high stiletto heel. Will add a picture tomorrow. You'll notice the slightly upward turn on the toe-box. Makes the shoe surprisingly comfortable. And this is a comparison between the Saint, and the more recent Menzies style. 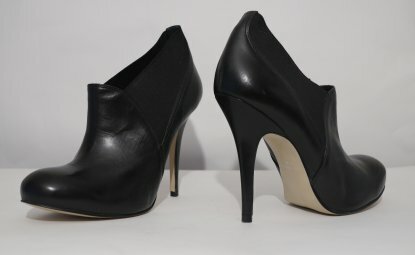 Both around the same heel height, though the Saint heel is ever-so-slightly slimmer. The elasticated gusset won't be to everyones taste, but they work well. When walking they feel like a high heeled slipper, they are so comfortable. "Exquisite", is the single word to describe them. Bit like a Porsche 911, function over form! 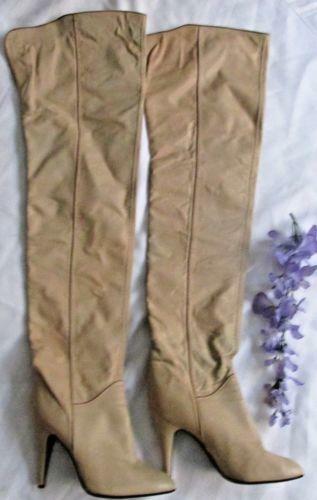 Both very nice and very wearable boots, I for one would definitely wear a pair of these in public. I'm not overkeen on the upturned toe box, but that is only a minir niggle, and if as you say they are like a high heeled slipper, I would never be out of them... Well only when "Her indoors" is about! You certainly know how to select a fine pair of heels Freddy! The box looks a little larger in the photo's, mostly because of the lens I used. Overall, it is a tad larger than 'usual' and it provides plenty of room for toes. I don't know if it was some sort of experiment, but it works. Mindful most of my shoe is usually under a trouser or leg on my dark jeans, the feel of the heel and the walkability of the design is fairly important. I don't feel the need to cripple my feet to wear an attractive style, though I would loathe to wear a truly ugly shoe. If I can, I'll try to do a composite of my 5 (or 6) fav styles. But the ones I'd save if the boat was sinking or house was on fire? The ones in the pictures. 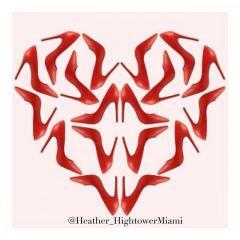 I have two favourite pairs of high heels. Was going to post a second photo of the second pair but don't have a suitable photo to hand. Mentioned elsewhere, I finally wore one of my Top 5 to a do a week or so ago. A pair of court shoes I bought perhaps 3 or 4 years ago from SELECT, a budget range girls fashion store. One shouldn't expect much for £10, but they fitted really really well, and looked good too. Wore them from about 6.30pm until around 11pm, and they are likely going to the charity shop. [Full report in "Outing" thread, when I get time to do the write up.] Quite a lot of the plastic covering on the inside of the shoe has peeled, and there's also some cracking on the upper. Disappointed/unhappy about this.... Soles and heel tips show very little to no wear at all, but the uppers look like they've been worn for some time. 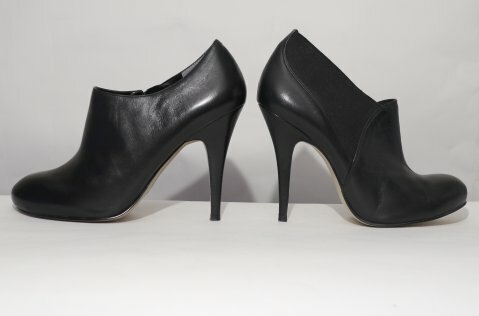 Consequently, I'm on the lookout for a replacement leather court shoe. Got a couple of patent ones, but I doubt they'll ever get worn outside of some sort of fetish gig (so never then! ) Since I have done a public walk in courts, I might be tempted again, but next time in better quality shoes.